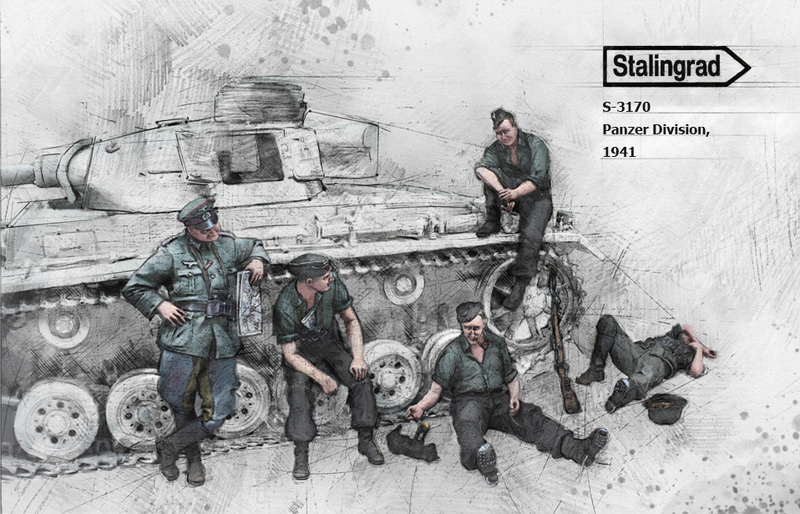 Stalingrad Miniatures has sent pictures of their latest set of five figures for your WWII German tank diorama. 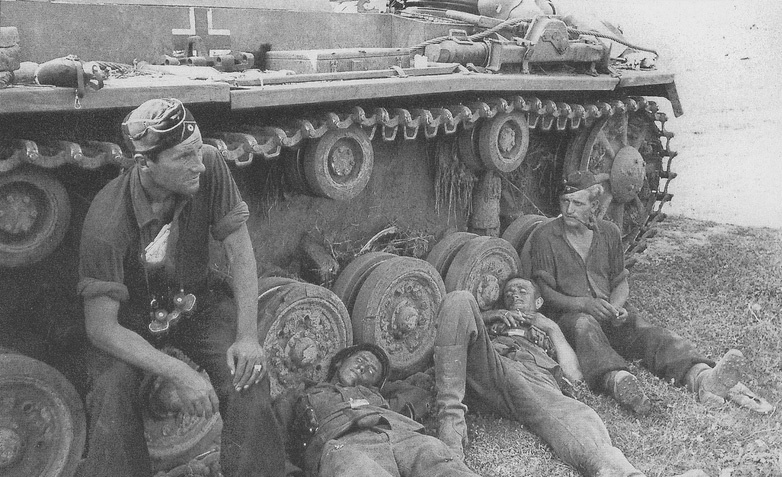 These guys are not all tankers, but they could fit into a scene around a tank crew that are exhausted from hours of action on the front lines. The sets come as single figures, and as a five in one set. We will have a brief overview of each of them and then all as a set. 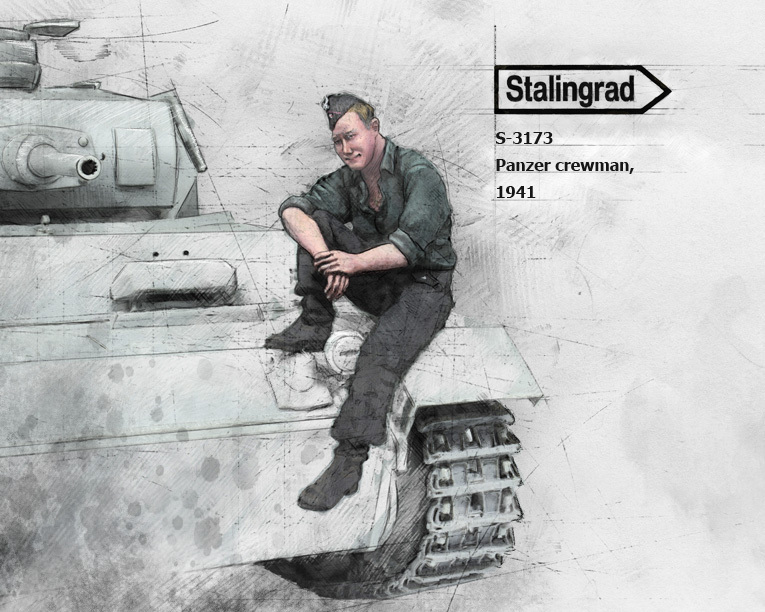 This Panzer tanker is depicted as an officer of the Panzer Korps int he early years of the war by his uniform and by the map that is tucked into his tunic. He also carries around his neck the binoculars he uses to scan the horizon for enemies. 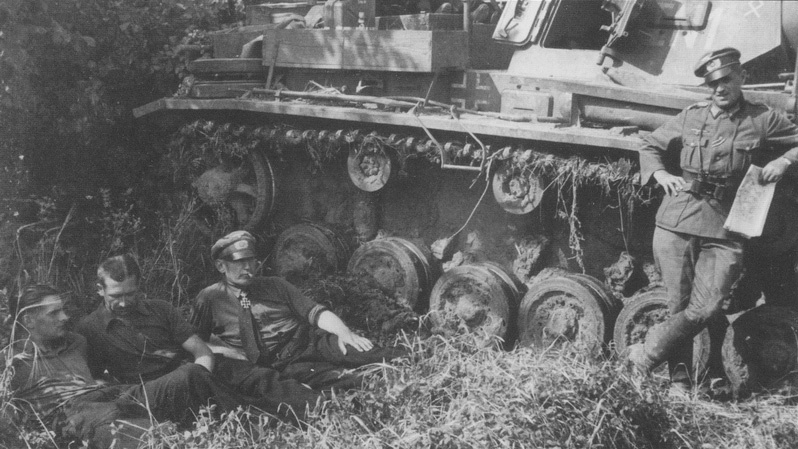 From the top down he wears the soft overseas cap of the German Army, the usual grey shirt and the black cotton pants of the Panzer Korps. Of note are his high, leather boots and his wedding band you can see on his left hand! 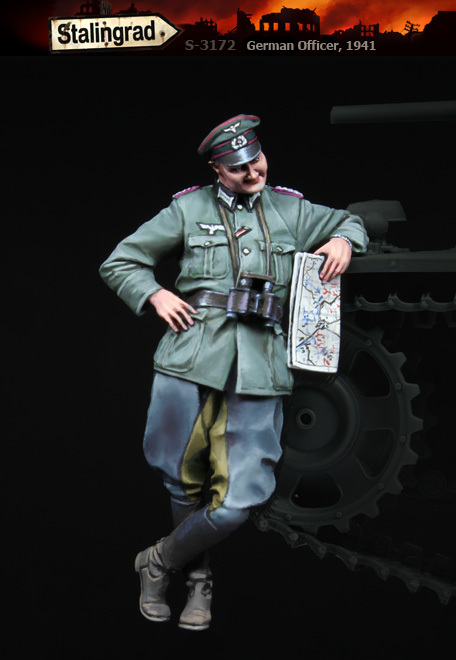 Another officer of the Panzer Korps, this time a more senior looking officer is the next in this bunch. 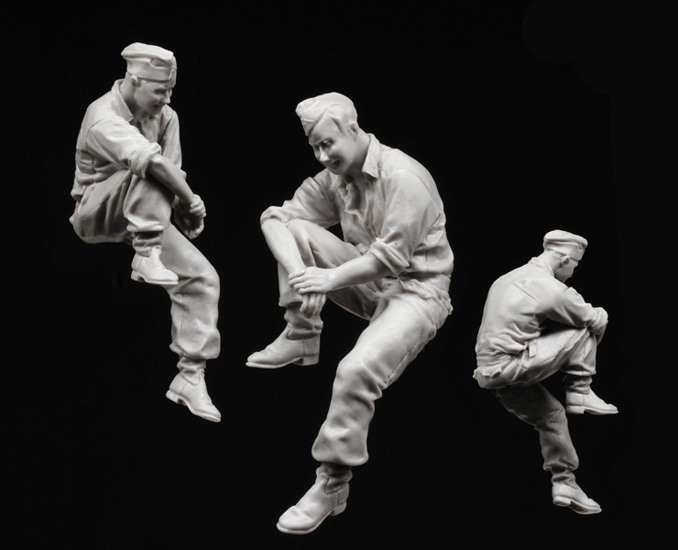 You can see the picture below that inspired this figure, with this officer in a similar pose on the far right. 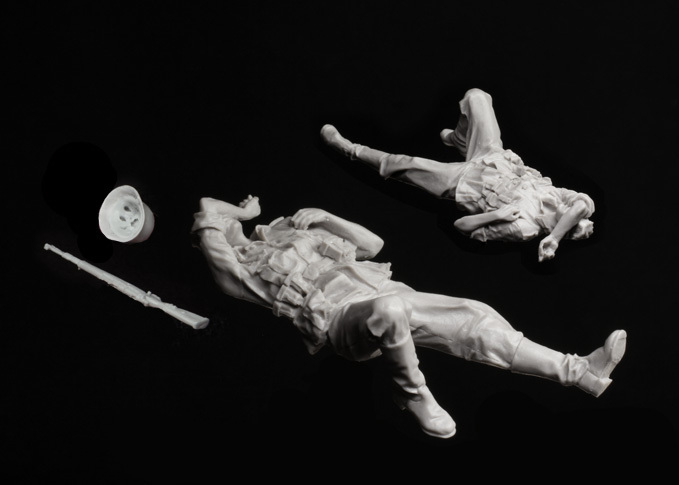 The sculpt of the officer is of a marked contrast to the officer just mentioned. He has all the trappings of a cavalry officer, with a nice tunic that is endowed with the details of pocket flaps, shoulder boards with rank pips, and cuff ranks as well. The clothing of this rather well-fed officer is wrinkled and folded all around the body. His large unfolded map in his left hand is prominent and hanging straight down as it would do when held as such while he leans on the side of something (or other). 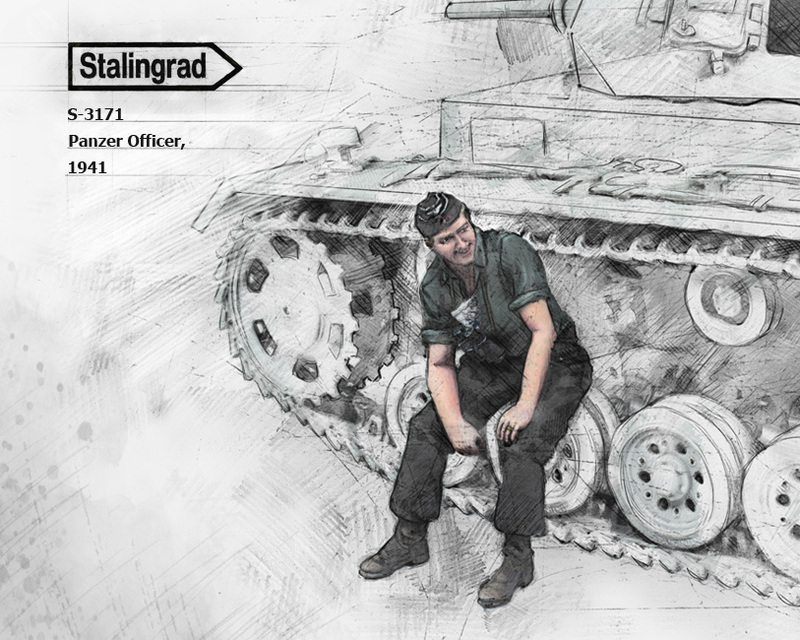 This male model poser is seen resting and looking down while sitting on the tank looking down at the scene before him. 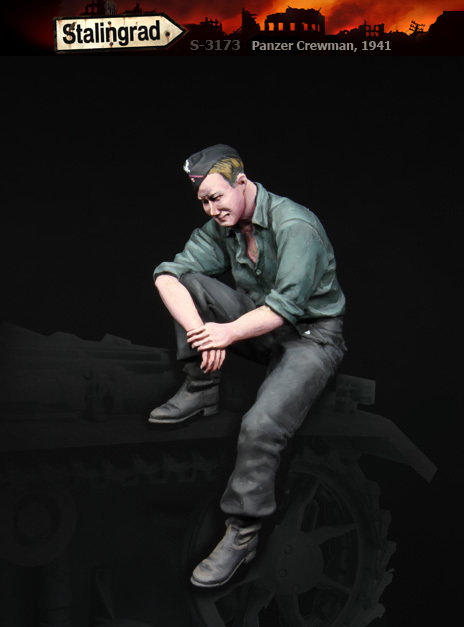 A simple tanker, but none the less detailed in this sculpt. 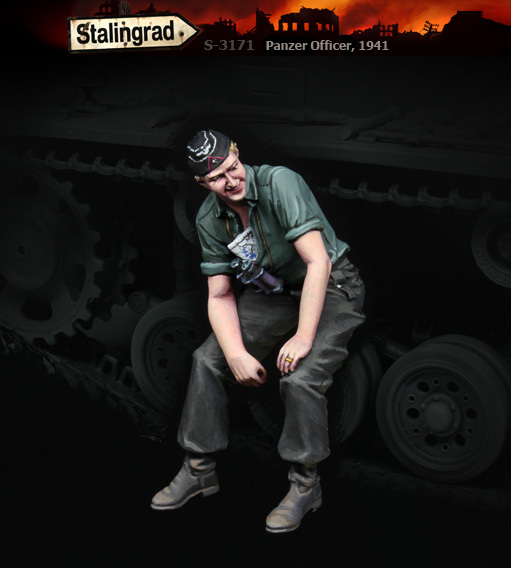 Dressed like his commanding officer of the tank, this tanker is seen to have great, natural body language, his loose clothing billows at all the right places while the elbows, knees and shoulders all stretch the material of his clothing just as much in the places where they should. 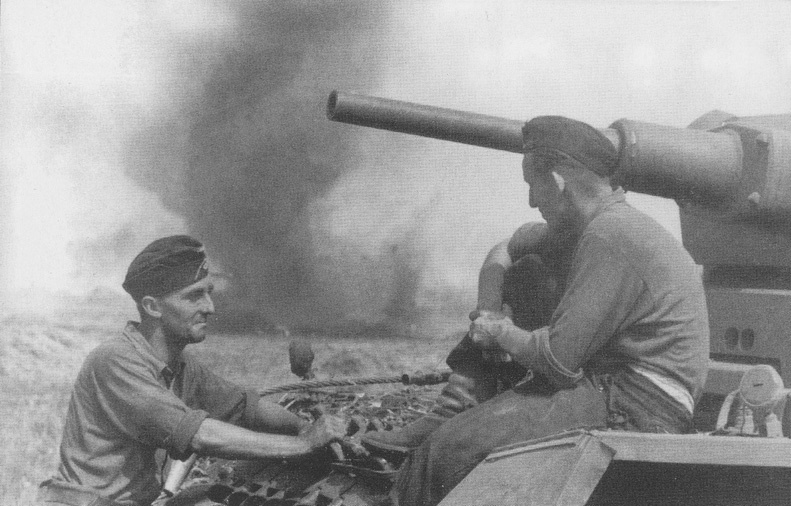 There are several pictures of tankmen with animals, dogs, ducks, lion bus and the favourite seems to be cats! 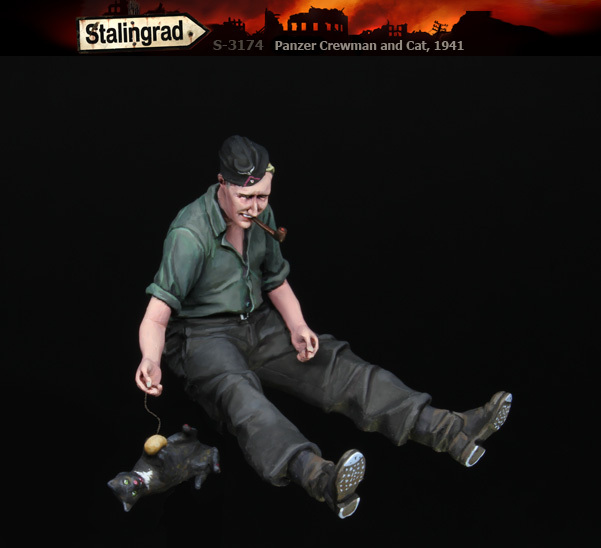 In this package, you get one panzer crewman paying with a small cat that he has encountered in his rest period. 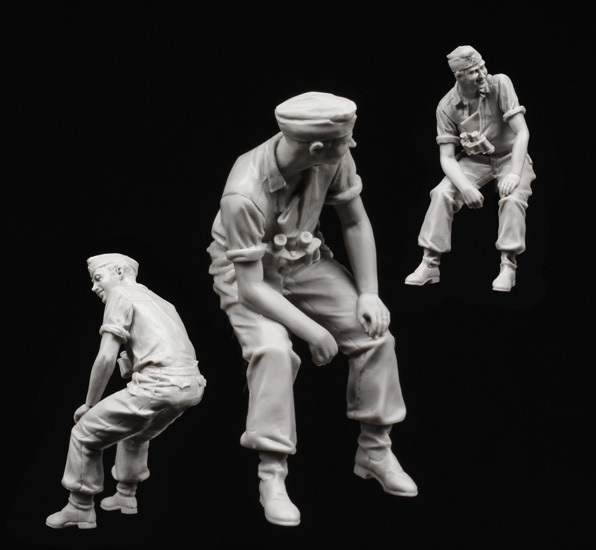 Some finer points to this figure, in the pictures above, you can see him with a pipe, but int he picture below he does not have one in his mouth? 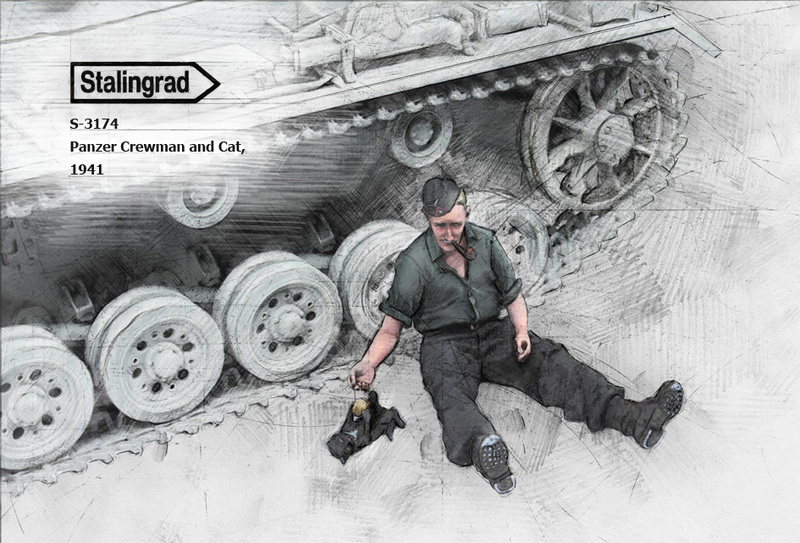 The soldier is seen dressed the same as his tanker comrades, with black cotton pants, high leather boots, a regular cotton shirt and flat forage overseas cap that most tankers wore in their hot and sweaty tanks. I suspect that this cat is being far too nice to a human in this picture from my own experience with the feline race! 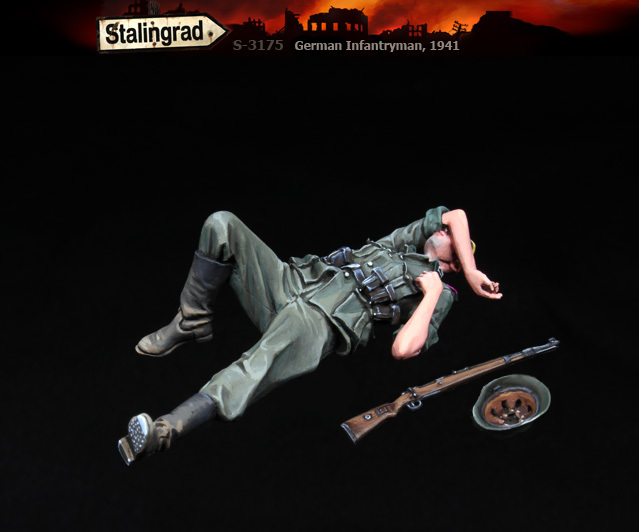 This figure depicts an exhausted infantryman or Panzer Grenadier laying flat beside the tank, rifle to one side either asleep or resting with his arm held up to shield his face from the sun or interfearance from his comrades maybe? 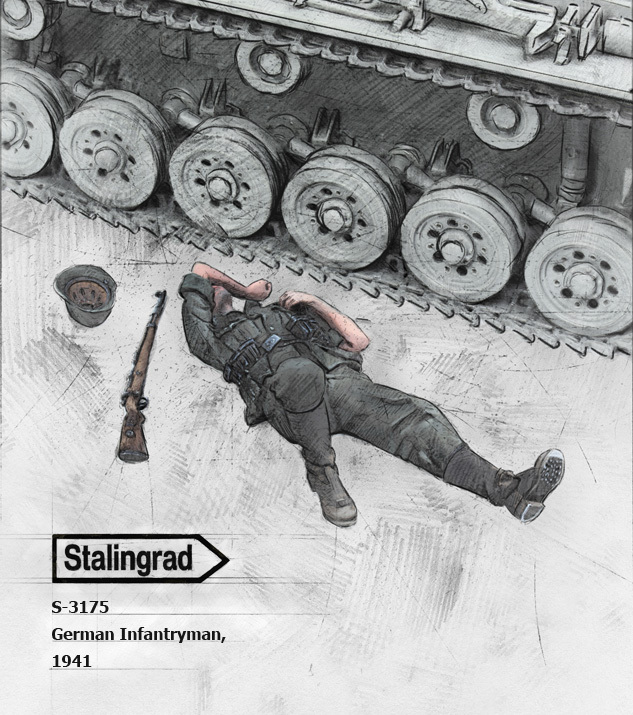 The picture below shows a few soldiers laying flat, just like their Panxermen comrades exhausted by combat or from the strain of constant travel within the safe surrounds of their tank. Seen here in its plain resin form constructed, this infantryman has all the trappings of an early war German soldier. The Kar.98 rifle and M 40 helmet with internal webbing come included with the figure. The uniform is pure early WWII - with tunic and pants of the Wehrmacht and high "jackboots" ammunition pouches strapped to the belt of his uniform. 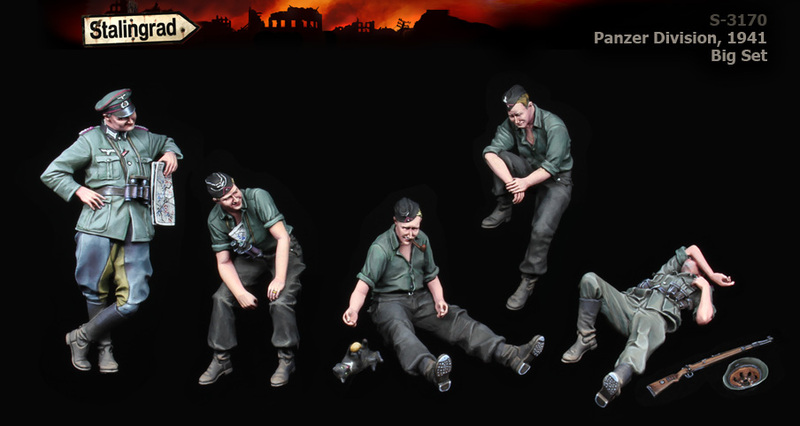 I like very much the body language of the sldier as he is sprawled out here. 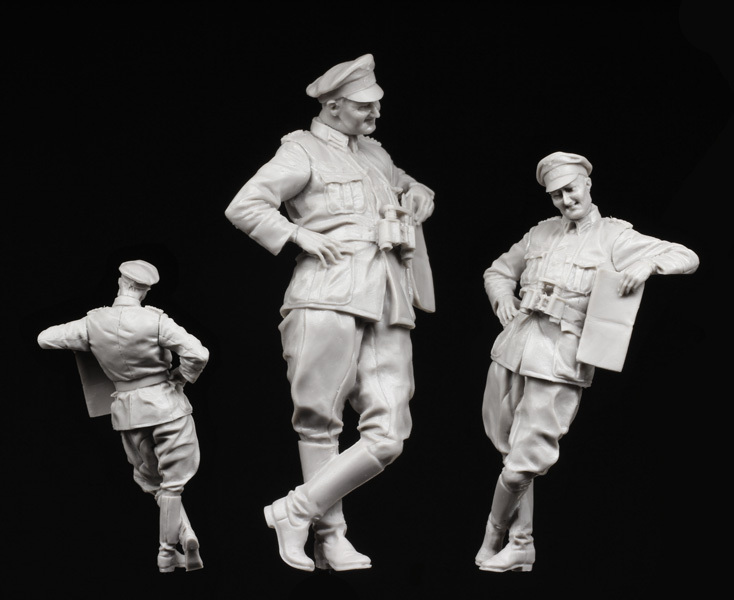 Five figures sold in one set for those who like to use them all. 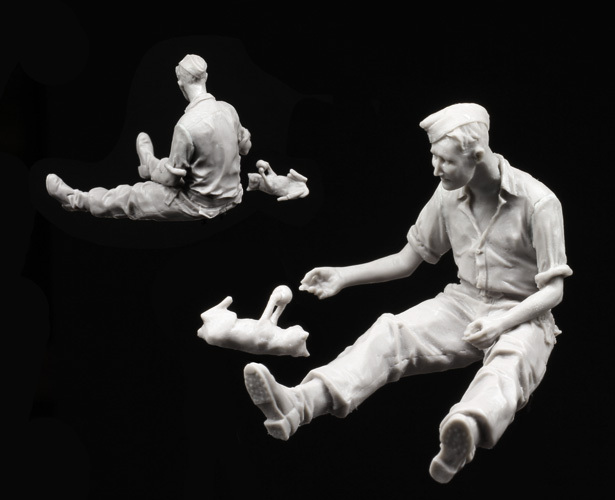 We think they will make a great scene and the sculptor should be commended again for another excellent set.